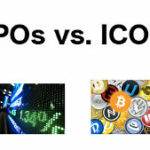 The surge of popularity in the cryptocurrency space has caused many to speculate about its long-term viability, and some have even likened it to the bubble burst of the early dot com boom. While the myth of it being an extremely volatile investment has been silenced by many experts, some people still hold their reservations. In essence, cryptocurrency is simply a form of ”digital money”, and it is subject to some of the same economic principles that fiat currencies operate under. When looking at how crypto prices relate to their fiat counterparts, it is best to relate it to how mined commodities such as gold’s value is determined. 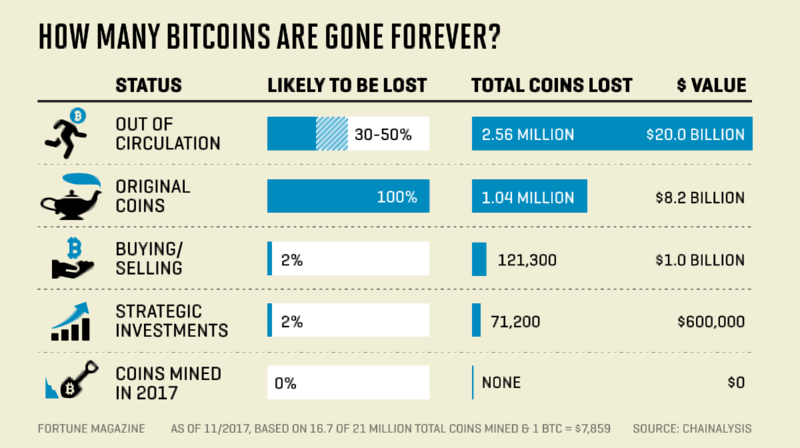 This is because Bitcoin, Ethereum, and other cryptocurrencies have pre-determined amounts that are setup, and are “mined” by specialized computers. In addition, cryptocurrency is divisible, meaning that they can be fractured into smaller amounts (example: 0.001 BTC, 0.00001 ETH). These principles drive one of the main determinants of crypto value: supply and demand. Just like fiat currency, the supply and demand for cryptocurrency helps determine its value compared to the dollar. Supply and demand is a universal principle that will guide the valuation of any potential currency or commodity that has objective value. When more and more people began dumping money into crypto (and they still are), the price of the commodity rises as it gains more backing and respect. When this occurs, the law of demand tells us that people will be less apt to buy in, as they are seeing the supply curve outweigh the demand for the product. The way that these two balance out is when users begin selling their crypto holdings, and this can occur for a variety of reasons including making a profit or decreased trust in the system. Supply and demand is a loose term that can also be affected by a variety of smaller factors surrounding the market, as well as the parameters required for cryptocurrency to function. One of the greatest initial drivers of the Bitcoin surge was its perceived value. Following the housing market crash of the early 2000’s, Satoshi Nakamoto created Bitcoin in hopes to eliminate the chance of fraudulent buying and selling habits, while simultaneously offering an unprecedented new mode of efficiency to the monetary system. Bitcoin is currently the cryptocurrency with the highest utility, able to be the most immediately usable form of digital money. Due to its trailblazing history and ability to make waves in society sooner than any other is why it is valued at nearly $10,000. Ethereum, a close second, provides the only platform and currency that utilizes smart contract architecture. This currency is a close second to Bitcoin in real-world use cases, and some believe it presents much more utility than Bitcoin, and this is why it is the second most valuable cryptocurrency available at this time. There have been a few high-profile security breaches to both Ethereum and Bitcoin since their adoptions, and each time this occurred the prices plummeted accordingly. The reason why hacks have such a large effect is due to the fact that one of cryptocurrencies main attractions is its inherent security and inability to be breached. When Ethereum was forced into the hard fork between Ethereum and Ethereum Classic after the DAO breach, the community was divided. As a result, the price of ETH suffered. Because the utility of cryptocurrency depends on keeping its users safe and feeling confident in its security, when a hack or security breach does occur the reputation and price suffers. Avid followers of the cryptocurrency market know that there are over 1000 known cryptocurrencies, all varying in utility and perceived public value. The reason most cryptocurrencies are not valued the same as Bitcoin or Ethereum is because they are entering into a diluted market. No cryptocurrency has been able to achieve true mainstream adoption. Bitcoin and Ethereum’s lack of mainstream adoption is just about at the capacity of speculation, and will require some more mainstream focus soon. As for the rest of the crypto coins (most created through ICOs and aimed to be tokens integrated into services and Dapps), the value will not prove to be significant until use and utility is proven to end users. The harder it is to mine a digital coin, the more secure the associated blockchain is. This, in turn, drives the public perceived value of the commodity up. Also, the harder the mining process, the more energy that is used by the mining rigs to verify blocks within the blockchain. 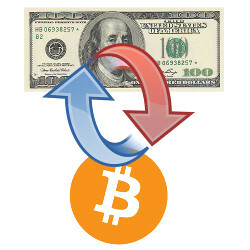 Both of these factors affect the overall price of the currency and either add to or take away from the perceived value. In October 2017, China announced that they were shutting down all cryptocurrency exchanges and ICOs within their territory. Within the same day, the prices of nearly all cryptocurrencies plummeted. While this was mainly viewed as a huge blow to the hopes of mainstream adoption, there were those that saw this as an opportunity to buy in. So, while governmental oversight can initially affect the price of a single cryptocurrency or sometimes even the entire market, outside factors must also be taken into account. In this case, China has a history of shutting down similar operations until they fully understand the scope of what they are dealing with. If governments around the world rallied against the technology, it would be more worrisome to the future of digital money. But, since this was merely a government action to try to reign in the enormous profits, long-term utility, supply and demand, and perceived value were not affected. Cryptocurrency has a brief but colorful history, and its proponents cannot stop preaching how this new technology will be the main mode by which we transact with in the future. For now, the prices of cryptocurrency only seem to be rising, despite the security breaches and forks that have tainted their reputations. In order for cryptocurrency to avoid the same crash that the dot com era faced, the community and its innovators will not only need to enhance and fortify its technological strong suits, but they will need to find ways in which to facilitate mainstream adoption. Only through everyday use cases and mass interest will the enormous value of these cryptocurrencies be solidified. How Many Bitcoins Are REALLY in Circulation?